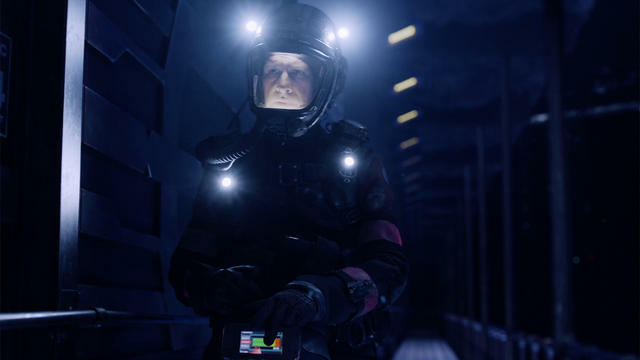 The Expanse Season 3 finally has a UK release date, with all three of the sci-fi show’s seasons touching down on Amazon Prime Video this February. Based on novels by James S. A. Corey, the critically-acclaimed, award-winning political series is set hundreds of years in the future, when humans have colonised the solar system with The United Nations controlling Earth and an independent military power inhabiting Mars. Desperate for air and water, the series begins with Earth and Mars on the verge of war over the resources found in the Asteroid Belt. With few options for survival, allies struggle to fight over the future of humanity. Co-created and written by Academy Award nominees Mark Fergus (‪Iron Man‬) and Hawk Otsby (‪Children of Men‬), the series stars three-time Golden Globe nominee Thomas Jane (Deep Blue Sea), Shohreh Asgdashloo (‪Star Trek: Beyond‬), Steve Strait (The Covenant), Dominique Tipper (‪Fantastic Beasts and Where to Find Them‬), Wes Chatam (‪The Hunger Games‬), Cas Anvar (Punisher: War Zone), Frankie Adams (Mortal Engines) and Shawn Doyle (Frequency), Chad L. Coleman (The Walking Dead), Florence Faivre (The Sia Renaissance), and Cara Gee (Empire of Dirt). Despite acclaim and popularity among fans, the series was surprisingly cancelled after its third run last year. Amazon, though, ultimately stepped in to resurrect the programme, following a major renewal campaign from fans. Jeff Bezos, the founder and CEO of Amazon, made the announcement in May 2018 at the National Space Society’s International Space Development Conference in Los Angeles where the cast and showrunner were in attendance. The Expanse Season 1 to 3 is available to watch online on Amazon Prime Video as part of a £5.99 monthly subscription from 8th February 2019. Where can I watch The Expanse online on pay-per-view VOD? Amazon has officially picked up The Expanse, following its cancellation earlier this month. The sci-fi series, which is based on the bestselling books by Daniel Abraham and Ty Franck, unfolds across a colonised solar system 200 years in the future, when two strangers become unwittingly swept up in a vast conspiracy. Oscar-nominated screenwriting duo Mark Fergus and Hawk Ostby (Children of Men, Iron Man) are showrunners of the project, alongside Naren Shankar (CSI, Farscape). The show has almost completed airing three seasons in the US, with the third yet to air in the UK on Netflix. This month, though, its home network of SyFy announced that it would not renew the show for a fourth run, prompting its producers – the Alcon Television Group – to launch talks with other broadcasters and streaming services for a possible pick-up. Amazon was one of the frontrunners in those negotiations, with fans specifically targeting the online giant with a campaign for its revival. Alongside a petition, which collected over 130,000 signatures, a funding campaign raised enough money for a #SaveTheExpanse banner to be flown over Amazon’s HQ, in case the large swell of online support from fans was not clear enough. Early this morning, Amazon CEO Jeff Bezos confirmed that Amazon had closed a deal to bring back The Expanse for a fourth season. Bezos spoke at the National Space Society’s International Space Development Conference in Los Angeles, following a panel about The Expanse, featuring showrunner Naren Shankar and cast members Cas Anvar, Wes Chatham and Steven Strait. Bezos confirmed that The Expanse will be an Amazon Prime Original for future seasons. How this will affect The Expanse’s future internationally is not yet clear: one of the reasons the negotiations were so complex is because of Alcon’s existing SVOD agreements, with Amazon owning the North American subscription rights but Netflix carrying the series globally outside of North America and New Zealand. For more news on that, watch this space – and until then, watch the video below announcing the show’s rescue, or read why you should be watching Season 1 and 2 on Netflix UK this weekend. Amazon is in talks to bring back The Expanse, after it was cancelled earlier this month. The sci-fi series, which is based on the New York Times bestselling book series by Daniel Abraham and Ty Franck, unfolds across a colonised solar system 200 years in the future, when two strangers become unwittingly swept up in a vast conspiracy. Oscar-nominated screenwriting duo Mark Fergus and Hawk Ostby (Children of Men, Iron Man) are showrunners of the project, alongside Naren Shankar (CSI, Farscape). The show airs on Syfy in the US, but the deal with producers Alcon Television Group was reportedly too restrictive for the network, which only owned the first-run linear rights to the programme – much harder to benefit from commercially in a landscape where streaming on catch-up is increasingly the norm. Syfy announced just last week that it would not be home to a fourth season. Now, those opportunities appear to be at Amazon, with Variety confirming with multiple sources that the online giant is in talks to pick up the show. Amazon has not commented on the reports, so this is not yet official, but other outlets report that the retailer and streaming service is near a deal. With its successful IP and an existing built-in audience, it is certainly the kind of project that Amazon looks to acquire. 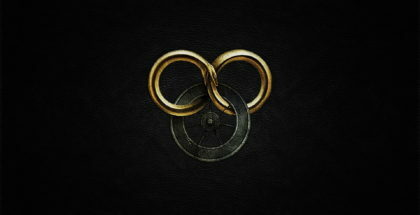 Should the talks close successfully, the situation could potentially be an unusual one, with Netflix currently owning the exclusive rights to the series in the UK. Whether that deal would stay in place a fourth season, with Amazon airing the show as an original in the US and Netflix releasing it under its brand for British screens, is yet to be seen. The Expanse will end its run on Syfy with Season 3, after the cable network decided not to renew the show for any further episodes. The sci-fi series is based on the New York Times bestselling book series by Daniel Abraham and Ty Franck, and unfolds across a colonised solar system 200 years in the future, when two strangers become unwittingly swept up in a vast conspiracy. Oscar-nominated screenwriting duo Mark Fergus and Hawk Ostby (Children of Men, Iron Man) are showrunners of the project, alongside Naren Shankar (CSI, Farscape). 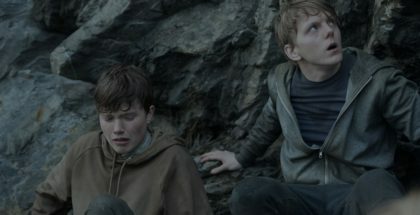 The show, which has been snapped up by Netflix as an exclusive in the UK, is currently airing its third run on Syfy in the US. 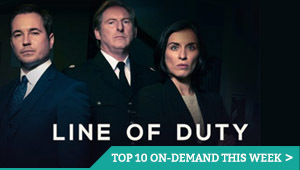 Produced by Alcon Television Group, which fully finances the show, it’s a hugely acclaimed programme with a sizeable international following. However, with a strong following and overwhelmingly positive reviews, Alcon is looking elsewhere to find a new home for the programme, whether that will be a US cable network or a streaming service. Season 3 does not yet have a UK air date on Netflix. Never seen The Expanse? Read our guide to why you should be watching it – or catch up with our reviews of Season 2.